Zinedine Zidane "never left" Real Madrid according to Casemiro, who lauded the Frenchman after his reappointment. Madrid turned to Zidane following the sacking of head coach Santiago Solari amid the club's LaLiga struggles and Champions League last-16 exit. "Our coach is an icon of the club. Not only as a player but also as a coach," Madrid midfielder Casemiro told Marca. "Zidane has shown that he is more than a coach. For the team, Zidane never left - he left his way of playing. He surely suffered with us at this time and that's why he returned. Zidane hadn't left." Casemiro added: "Zidane never left, and we've always had a huge affection for him. He conveys love and returned normally, being the same Zizou as always. "He is one of the keys to winning titles and has already shown that in recent years. With him we're surely going to fight for titles." 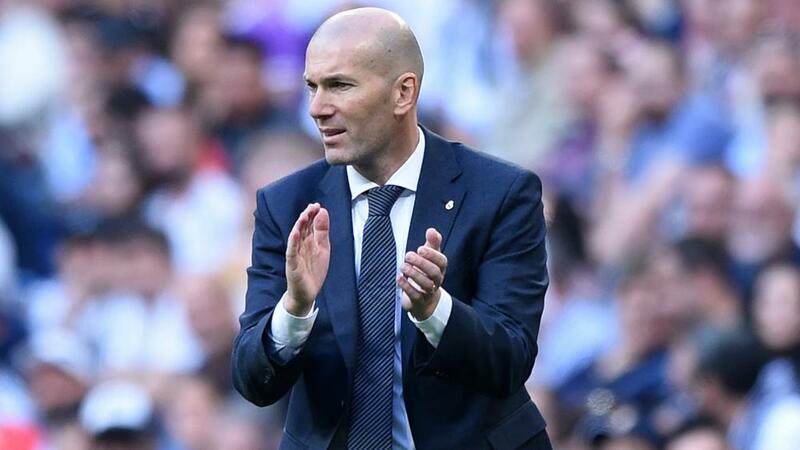 Zidane's Madrid are at home to bottom side Huesca in the Spanish capital on Sunday.